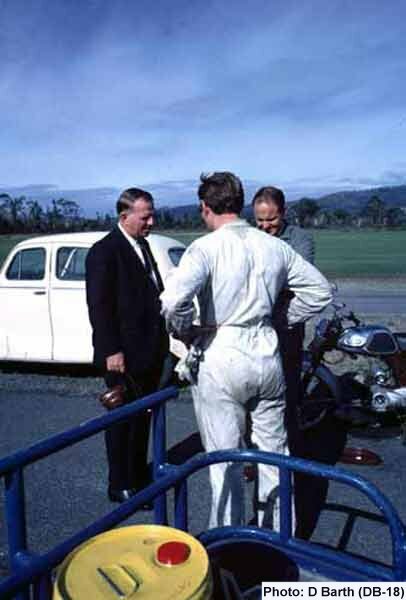 Lou Pares (left) Abe Baker (back to camera) and Hal McKinley (right) at Hobart in April 1968. Although this image was originally provided by Jim Hilferty, Dave Barth has identified himself as the original photographer. Dave has also been able to identify Abe Baker who was previously unknown. (This image appears also in its original location in Album #1. It is repeated in Album #2 for continuity of the Dave Barth Collection).